Saltus continued its memorial for the people who died in 2001 in the terrorist attack on the World Trade Centre in New York City. “The Saltus memorial especially remembers those Bermudians who lost their lives: Rhondell Tankard, Boyd Gatton and Robert Higley. Boyd and Robert were Saltus alums. 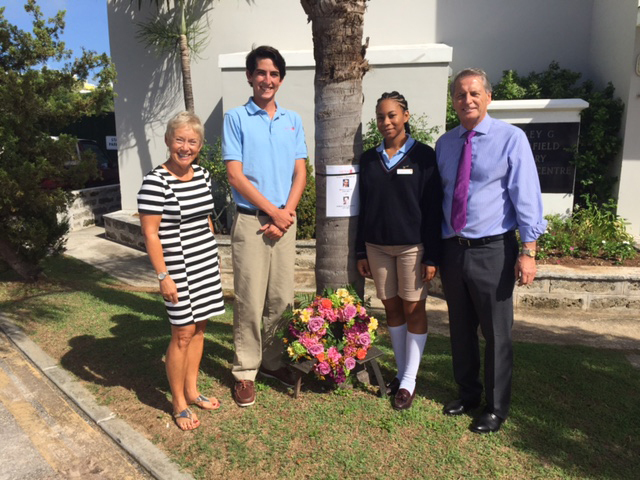 Laying the wreath at the memorial tree were Head Girl, Bria Maybury; Head Boy, Jackson Spurling, Head of School, Deryn Lavell, and Deputy Head, Jon Beard,” a spokesperson said. Thank you Saltus faculty, staff and students. 9/11 should never be forgotten.